The ideal choice for sports cars and top end vehicles, balancing performance, safety and respect for the environment. For demanding drivers, the WINTER SOTTOZERO™ SERIE II guarantees excellent performance on dry roads, in the wet and in the presence of snow. In temperatures below 7°C, it counters aquaplaning more effectively when compared to a summer tyre. 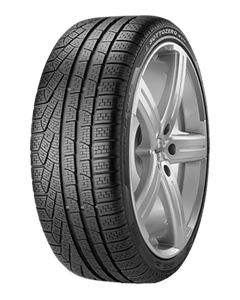 Sorry, we currently do not have any tyres with the W240 Winter Sottozero 2 pattern in stock.